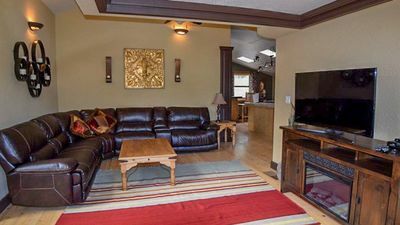 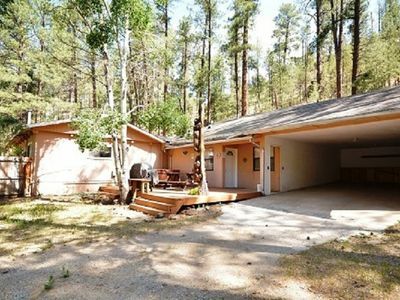 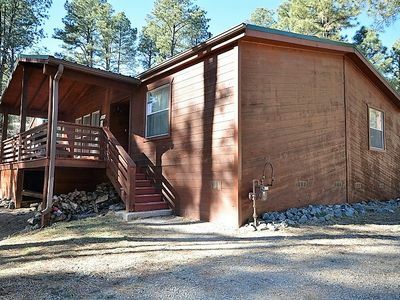 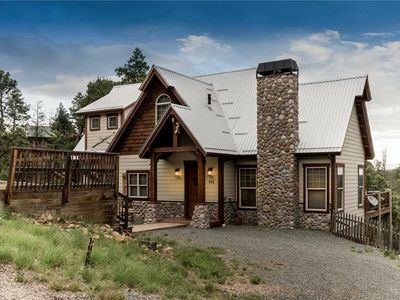 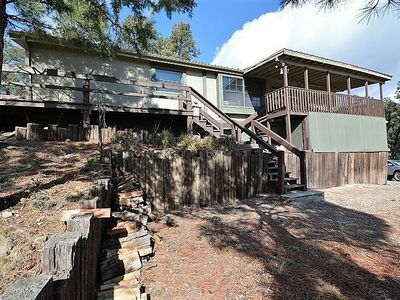 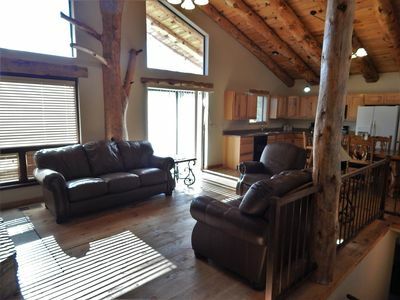 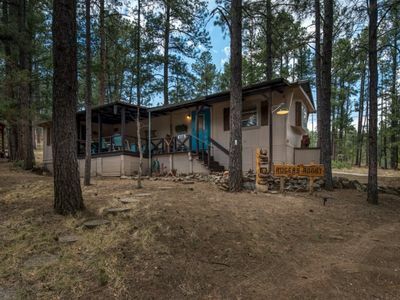 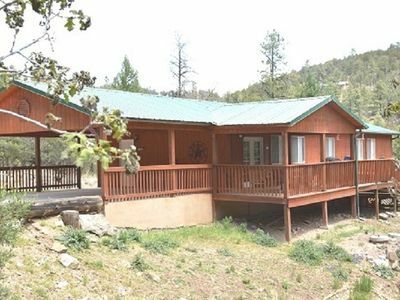 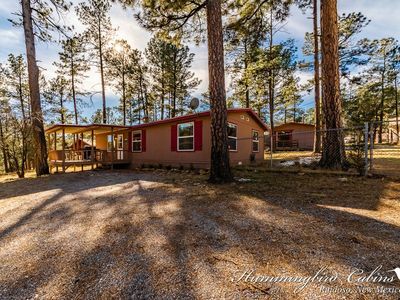 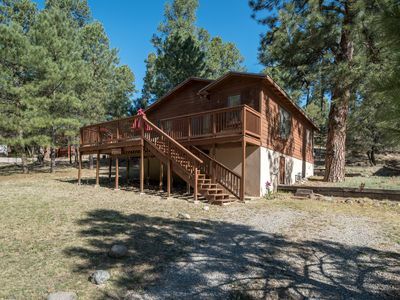 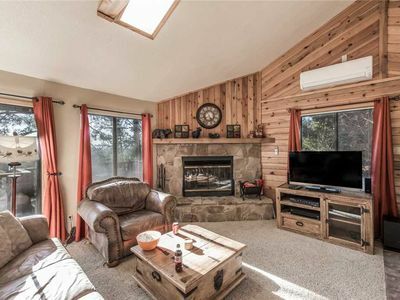 Nice one Level Cabin with Easy Access Location in the Tall Pines, Hot Tub, Gas Grill, T/V in Every Room and Wireless Int., Hallway Bath with Jacuzzi Tub. 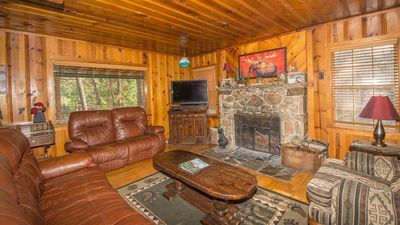 Living Room: TV, VCR/DVD, Ceiling Fan, Wood Burning Fireplace Master Bedroom: KING Bed, T/V DVD/VCR, Ceiling Fan. 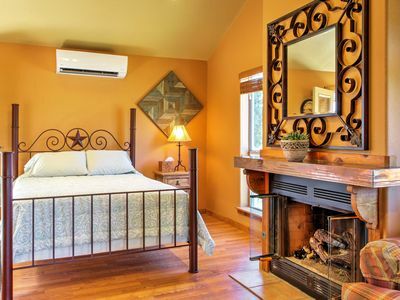 2nd Bedroom: QUEEN Bed, T/V, Ceiling Fan. 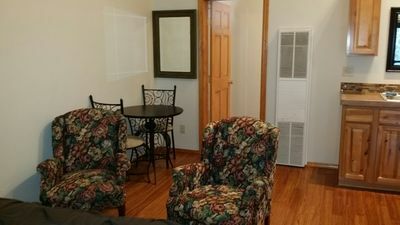 3rd Bedroom: Two Full Beds, T/V, S/ B. 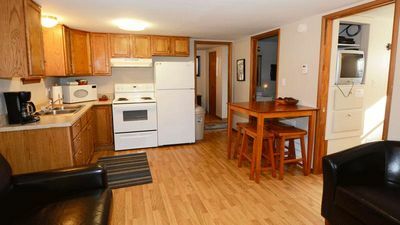 Kitchen: Stove, Refrigerator, Microwave, Free Standing Fireplace. 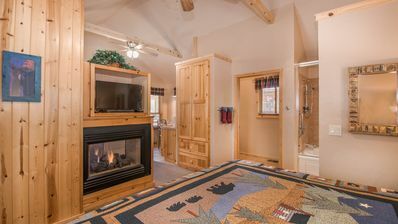 Laundry Room: Washer/Dryer. 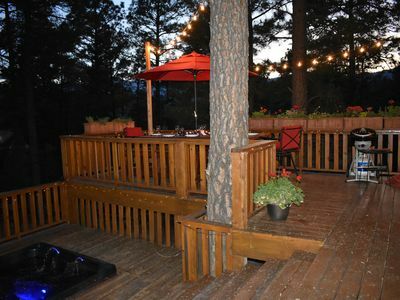 ;NO SMOKING PERMITTED, NO PETS PERMITTED;.Approx. 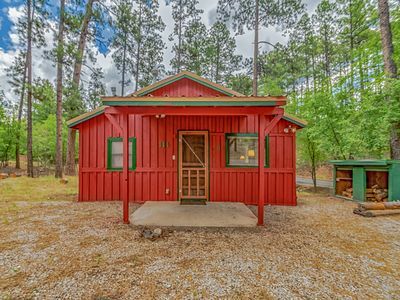 1900 Sq. 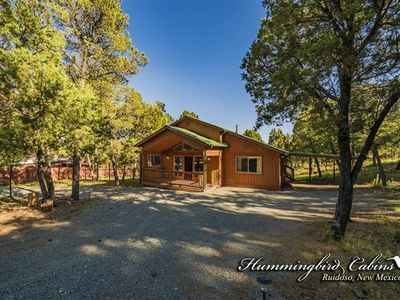 Ft.; Acc. 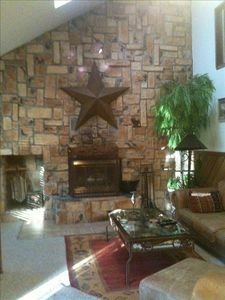 8; CF $90. 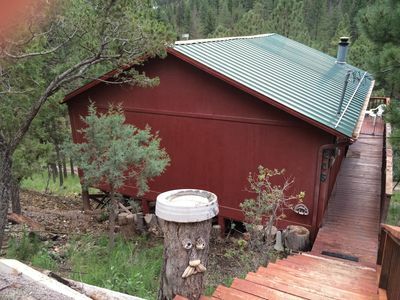 Tucked Away: "Hidden gem in the forest" With hot tub.